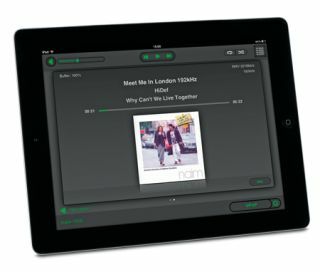 Naim issues software update for n-Stream iOS control app | What Hi-Fi? Naim Audio has today issued a software update for its n-Stream iOS control app. • Internet metadata, allowing users to explore information about the album currently playing on their Naim system. • Playlist support. Allows creation and editing of playlists from your UPnP (Universal Plug and Play) device, which can be saved to your iPhone, iPad or iPod Touch. • Play queue, so you can queue tracks from your UPnP library. • Fast UPnP browsing. Information from the UPnP server is cached on the iDevice for faster browsing. These features require your Naim streaming product to be running software version 3.15 or higher. This is available on the NaimUniti 2 from launch. An update for all other streaming products (ND5 XS, NDX, NDS, UnitiQute, NaimUniti and SuperUniti) will be available during the next four to six weeks – it's currently in beta testing. Check the Naim website for exact availability. Naim says the new app is a a "fundamental rewrite" of the previous version and can deliver "rich experiential supporting data like sleeve notes, artist biographies, discographies and enough background information to keep even the geekiest music lover happy". It uses the Rovi database, and an Info button has been added. On an iPad, once a track is playing, pressing the Info button within n-Stream reveals a specifically created virtual CD booklet that contains all the information about the album and artist. Alongside the usual cover art, performer, producer and credits, you also get bographies, images, discography, album reviews and similar music suggestions. Links from the booklet open up to reveal content directly from Rovi's database. Playlists can be built, controlled and saved on the fly, and even if the iPod, iPhone or iPad switches off the music will continue playing. And playlists can be queued, with the user able to add tracks or whole albums to the play queue while listening. Previously the user had to select and listen one track or album at a time.